Strawberries signify June in our house. Our small strawberry patch goes crazy, and strawberries come out of our ears. 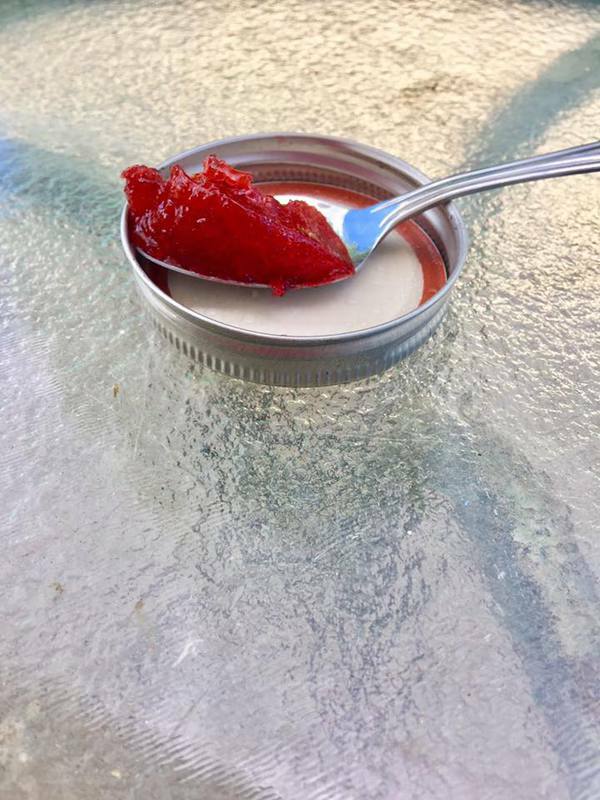 After years of practice, I found my favorite strawberry jam recipe. I typically need to make 12 to 24 half-pint jars of strawberry jam to last our family one year. We eat PB&J sandwiches a lot. I also like to give away jars of jam and jelly for gift baskets. I make a lot of different jams; strawberry just happens to be our favorite. I once tried freezer jam, and that didn’t work for us. Our power went out, and I lost five jars. I was so sad. After that incident, I decided to stick with what I knew. Canning strawberry jam is just something I love! I use the easiest strawberry jam recipe I know, and it’s perfection. If you are looking for a recipe to can for the very first time, try this one! Prepare the strawberries by hulling and cutting up into pieces. Put strawberries and lemon juice into a pot. Turn on medium-high heat. Allow them to heat up. As the strawberries heat, I use my spoon to mash them as they get soft. Mix 1 cup sugar with the box of pectin. Once the strawberries are boiling, mix in the sugar and pectin. Stir well. Add the rest of the sugar to the mixture. Bring to a boil. It should be a rolling boil that doesn’t slow down if you are stirring. Allow to boil (as you stir) for one minute. Remove from heat. Ladle the jam into prepared jars waiting for you. Use a water bath canner and process the jars for 10 minutes. Let the jars sit for 24 hours before removing rims and labeling the cans! Everyone seems to have different methods for making strawberry jam. I wanted mine to be as simple as possible. The results are always the same – amazing and delicious. 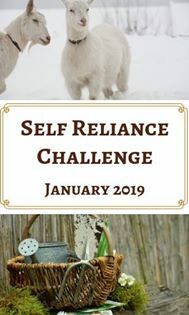 If you are looking for some other strawberry canning recipes, check out a few creative recipes I listed. 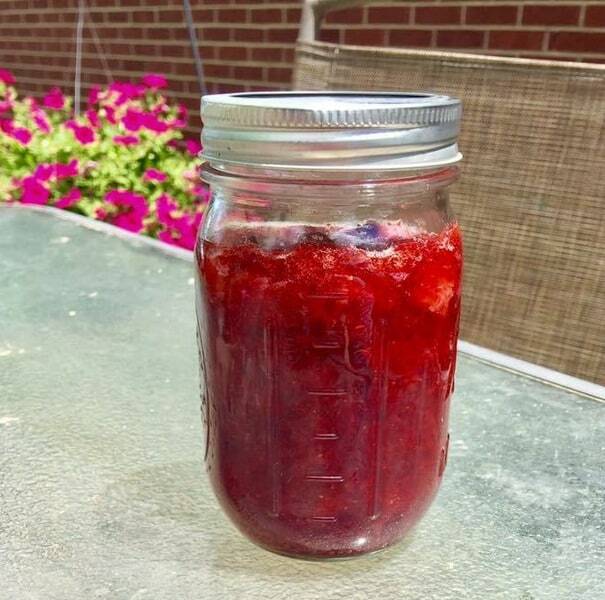 Do you have a favorite recipe for strawberry jam? If so, please share it with us in the comments! Thank you, but how much does this recipe make? I typically get 5 to 6 jars out of the recipe.